The SUV has replaced the station wagon as the traditional car for driving around the family on long vacations. And, in part due to that transition, many people think that SUVs are just clunky vehicles with a lot of space, that are awkward to drive. This couldn’t be further from the truth in the case of the Land Rover Range Rover HSE. This vehicle is designed to be exceptionally efficient. From a 33.2 mile per gallon fuel economy to full surround exterior cameras to cruise control to a voice controlled navigation system, this is one of the easiest vehicles, let alone SUVs, to drive. 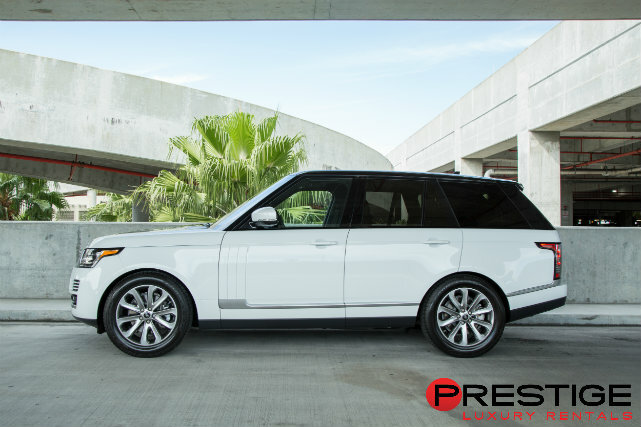 When you rent a Land Rover Range Rover HSE from Exotic Car Rental Miami, you won’t be able to help but feel like this is a vehicle that deserves to be off-road. While there isn’t a lot of off-road opportunities in Miami, you can explore the natural beauty of the city. Take a drive down to Crandon Park on Key Biscayne and enjoy the beach and palm trees. Or if you prefer your natural beauty to be contained, you can cruise over to the Miami Beach Botanical Garden.